Kasabian, Liam Gallagher, Blossoms and Slaves have been added to this year’s Benicassim bill. Ride, Tyler The Creator and Bonobo also join the line-up for the Spanish festival’s line-up. Kasabian are the final headline act to be announced after previously announced headliners Red Hot Chilli Peppers and The Weeknd. 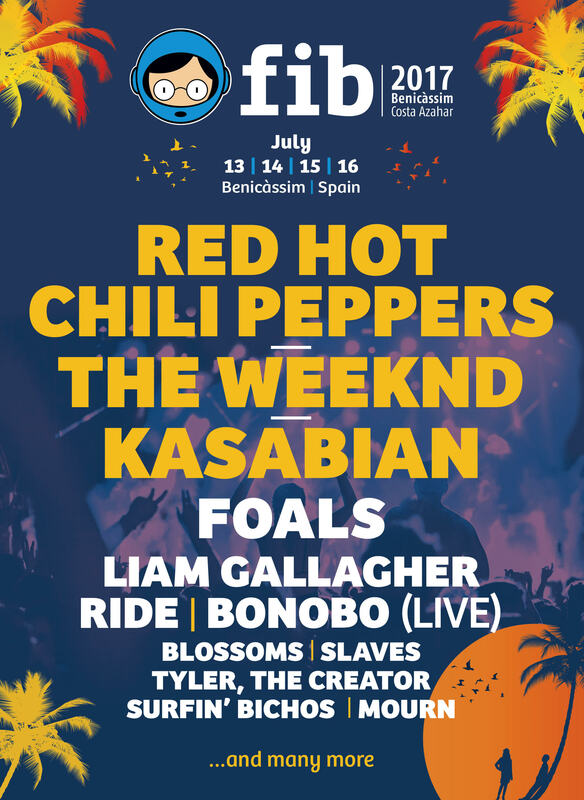 Foals were also previously added to the bill for the bash which takes place at Costa Ahazar from July 13-16. The Leicester rockers are also set to make an appearance at this year’s Sziget Festival in Hungary and and Croatia’s INMusic bash. They are expected to debut new material at all of the festivals. Kasabian guitarist and songwriter Serge Pizzorno recently discussed how their new album, the follow-up to 2014’s ’48:13′ features “one of the best tunes he’s ever written”. Meanwhile, Liam Gallagher is likely to play material from his forthcoming solo album which he was said to be “making good progress” on. He is also set to play the forthcoming EXIT Festival alongside Jake Bugg. Gallagher recently continued his spat with brother Noel, by slamming him for “brown nosing U2”.